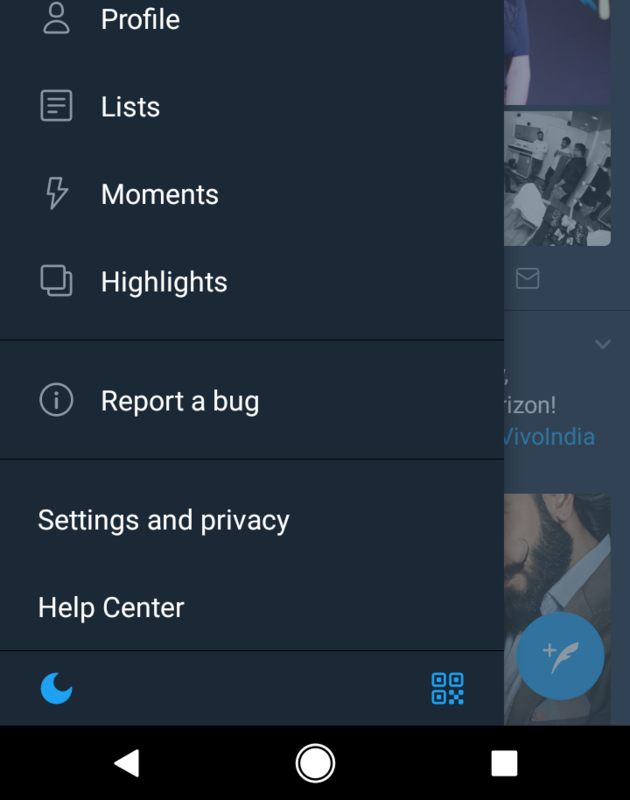 According to our frequent tipster Gurkanwal Singh, Twitter beta 7.12 has started showing a new night mode toggle and QR code icon. If you might remember, Twitter's night mode used to have a proper toggle in the side menu and the QR code display and scanner was hidden under the overflow menu when viewing your profile. The latter was really difficult to get to and nowhere regular users would guess. 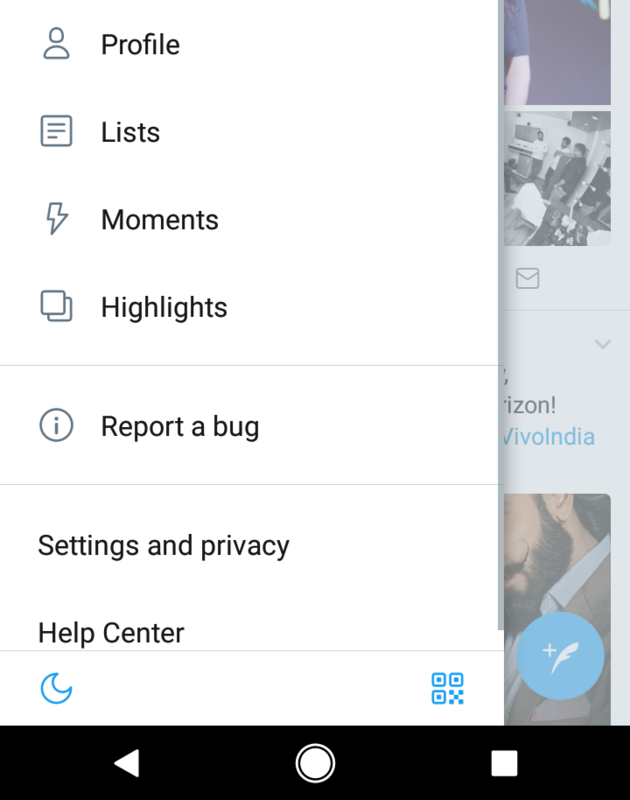 Now, both have moved to the bottom of the side menu, under the Help center. They're simple icons with a crescent moon for night mode and a QR icon for the code scanner. They look good in both the white mode and dark night mode themes. 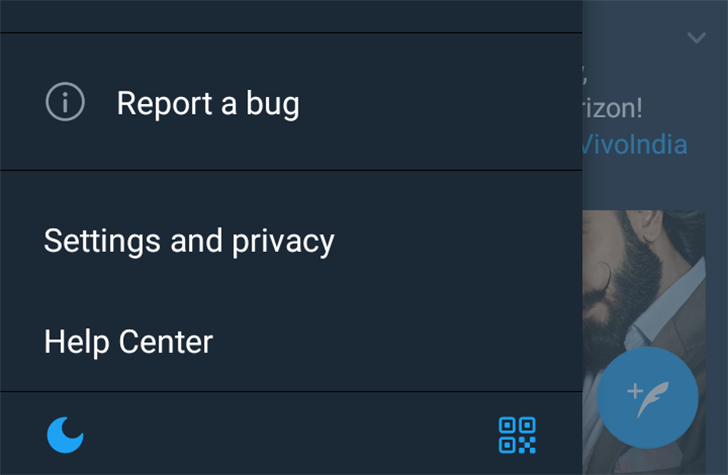 It is possible that this is a server-side switch change that also shows up in the stable version of Twitter, but I don't have it on mine. Let us know if you see these new icons and which version of Twitter you're running. And if you want to up your odds, here's v7.12 beta on APK Mirror.